Forecasts report snow every day. It seems we will be plenty of snow. This week (on February, 5th) it is possible to reserve even just Saturday night; contact us fast if you wish to enjoy this fresh snow. Wind and snow! Forecasts say it is just beginning. Hotel and Etna are finally covered by white. 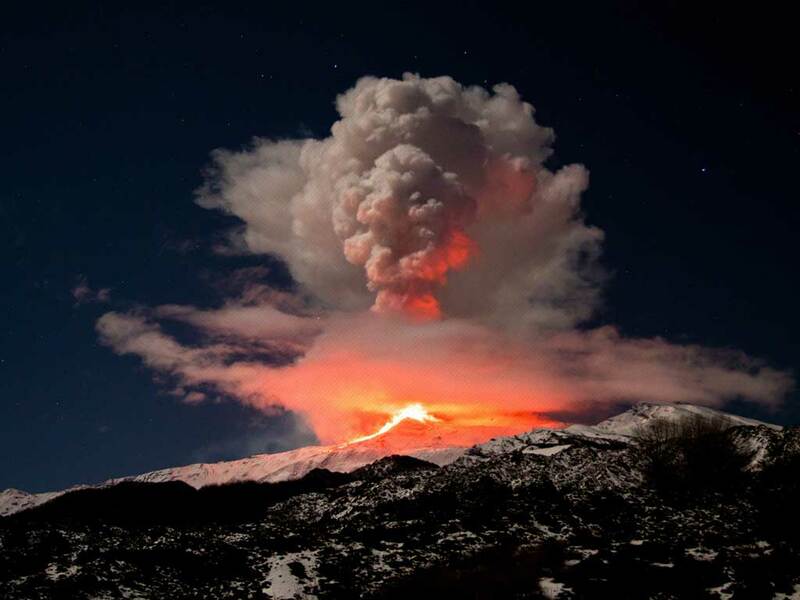 For Etna lovers: from eastern side of Etna it is visible some red. A bit of activity? No other webcams show anything. For ski lovers today it was slightly snowing. UPDATE: it lasted few hours giving a beautiful show. Its origin is “pit” of “sud Est” crater. SECOND UPDATE: and now a video it is available. Just after midnight we finally have snow! Better than fireworks! Little update: i add a morning’s photo.